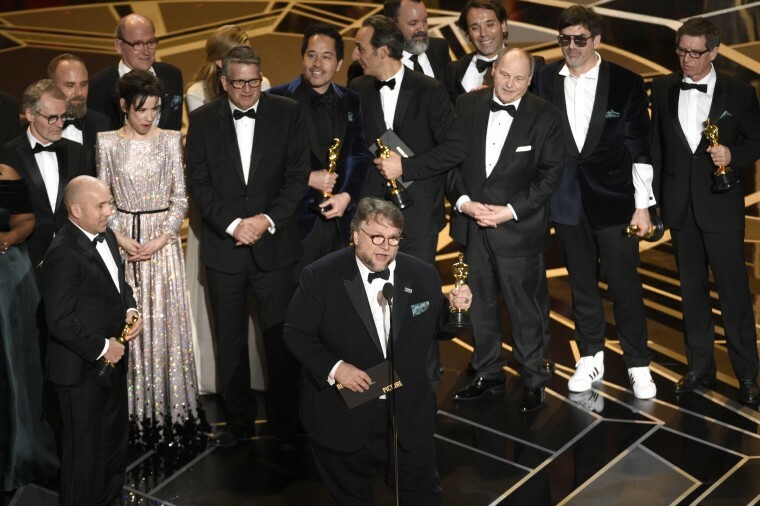 Guillermo del Toro and the cast and crew of "The Shape of Water" accept the award for best picture at the Oscars on March 4 at the Dolby Theatre in Los Angeles. 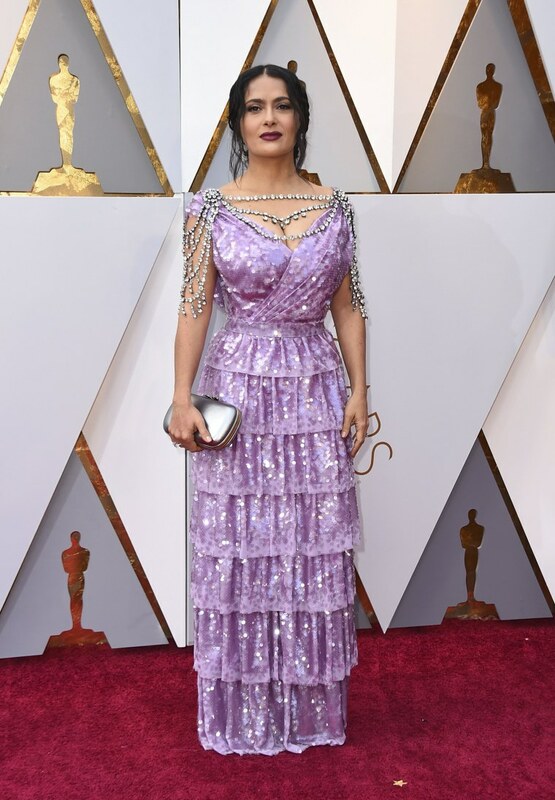 The whimsical science-fiction fable set during the Cold War won best picture at an Academy Awards fueled by stirring calls for a more inclusive Hollywood. 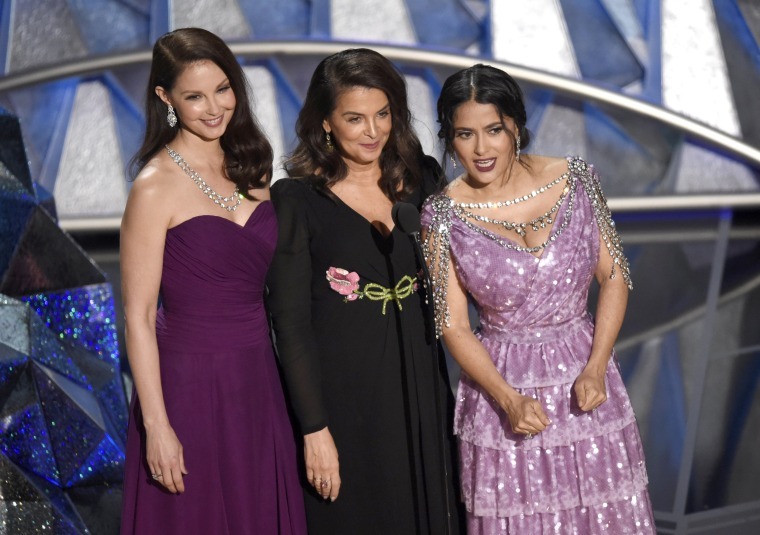 From left, Ashley Judd, Annabella Sciorra and Salma Hayek, actresses who have accused Harvey Weinstein of sexual misconduct, introduce a video segment about the #MeToo movement. 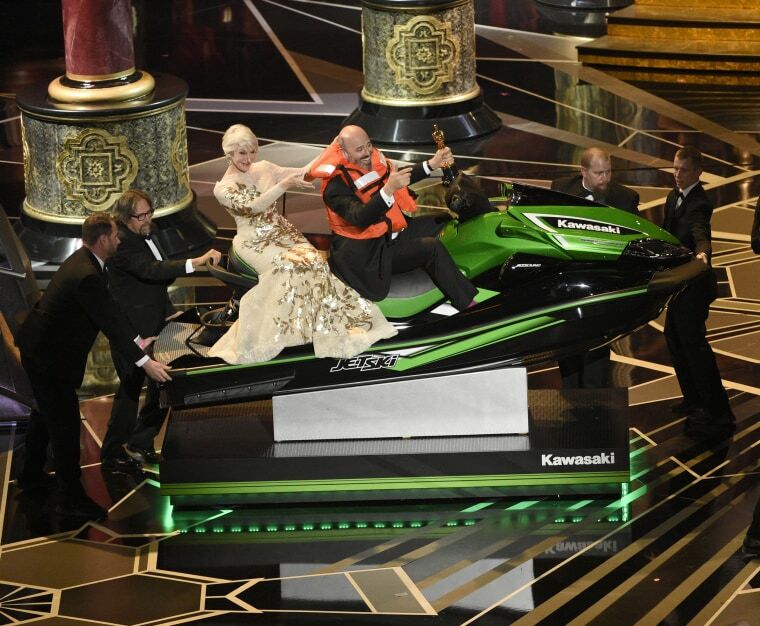 The trio received a standing ovation. 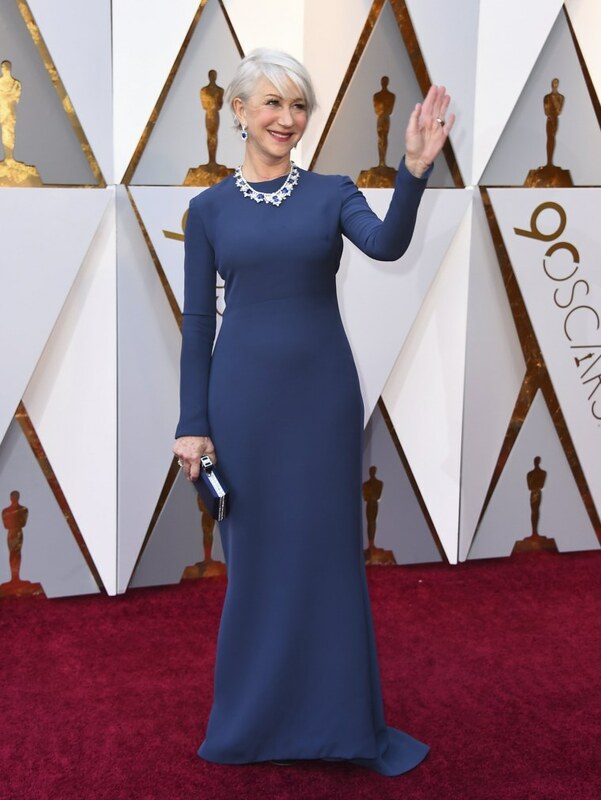 Helen Mirren accompanies Mark Bridges, winner for the award for best costume design for "Phantom Thread," as he wins a jet ski for having the shortest acceptance speech at the Oscars. 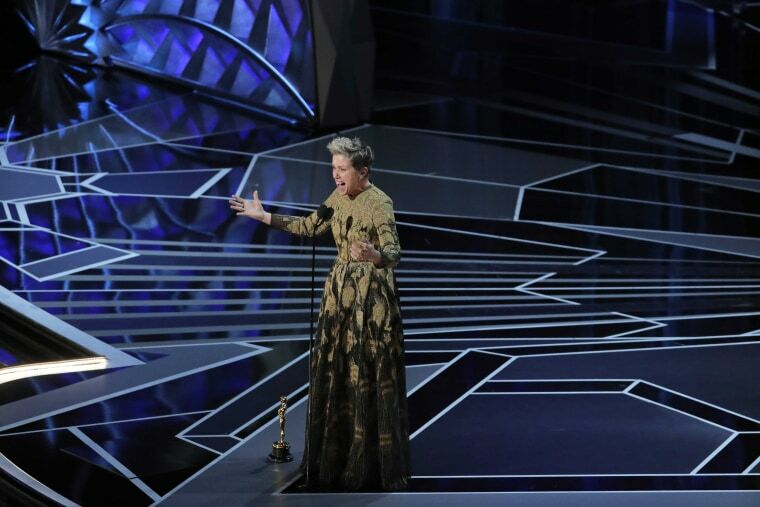 Frances McDormand wins the Best Actress Oscar for "Three Billboards Outside Ebbing, Missouri." 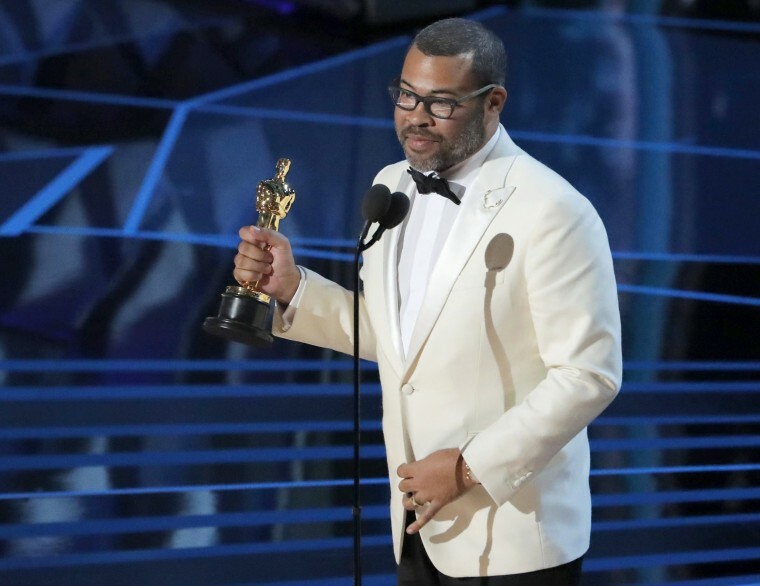 Jordan Peele accepts the award for best original screenplay for "Get Out." 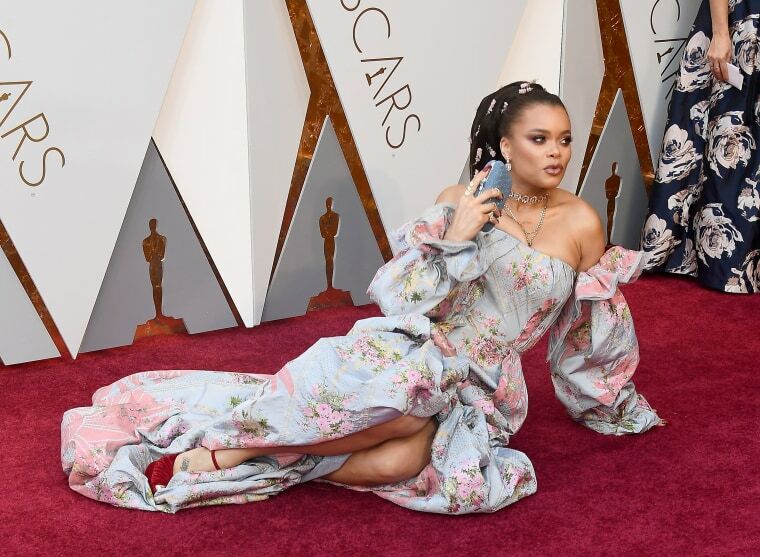 He is the first African-American to earn an Oscar in the category. 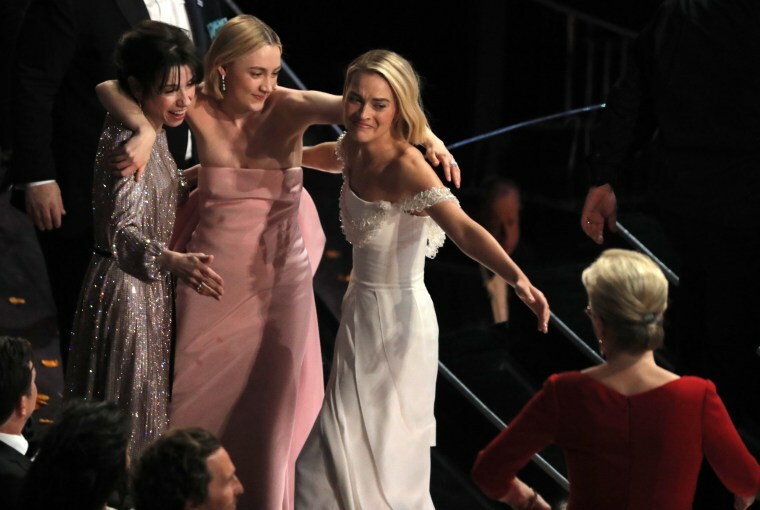 Actresses Sally Hawkins, Saoirse Ronan and Margot Robbie reach out to Meryl Streep during Frances McDormand's Best Actress acceptance speech. 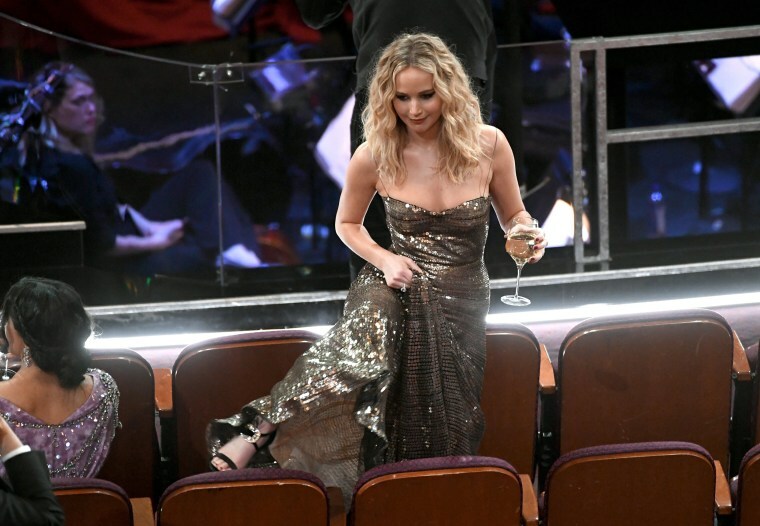 Actor Jennifer Lawerence in the audience during the 90th Annual Academy Awards. 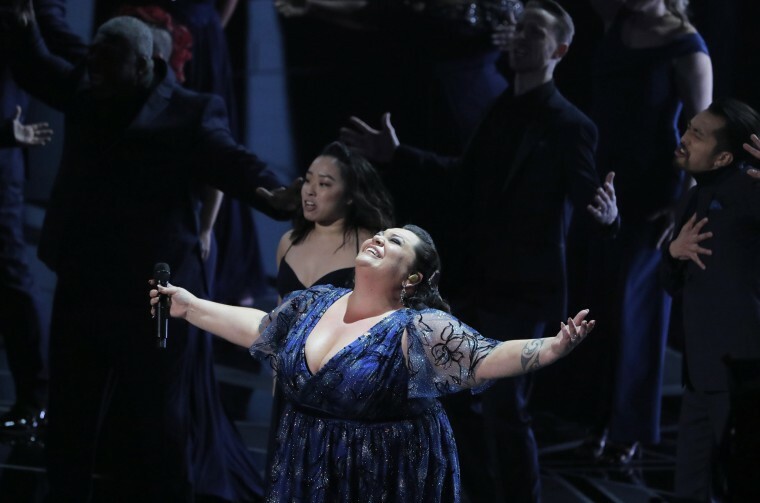 Keala Settle sings "This is Me" from "The Greatest Showman." Margot Robbie, left, reacts as Allison Janney wins the award for best performance by an actress in a supporting role for "I, Tonya." 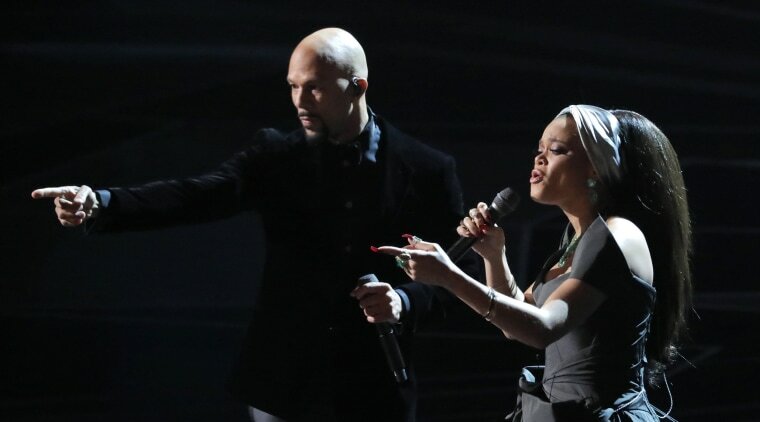 Common and Andra Day sing "Stand Up for Something" from "Marshall." 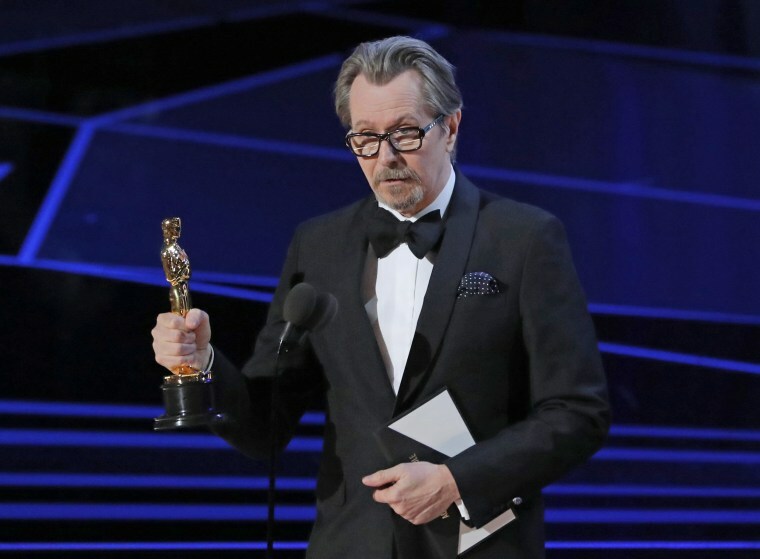 Gary Oldman accepts the award for best actor for "Darkest Hour." 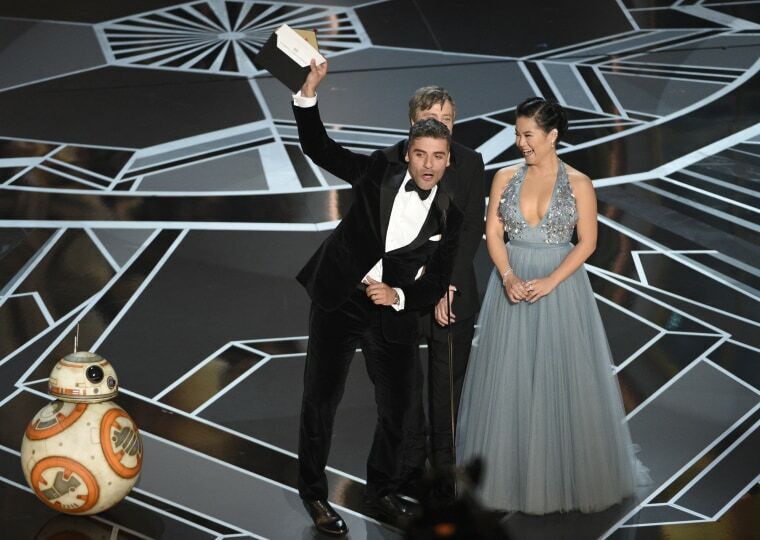 BB-8, Oscar Isaacs, Mark Hamill and Kelly Marie Tran present the award for best animated short. 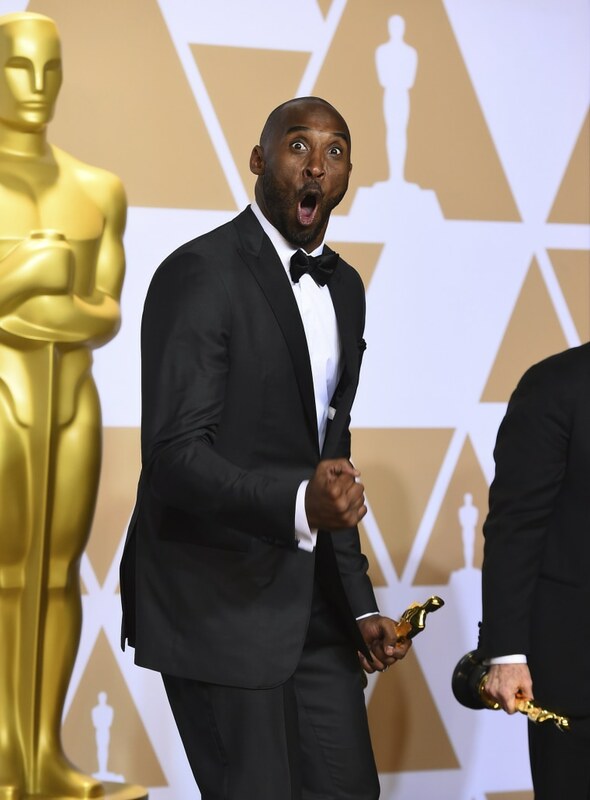 Kobe Bryant, winner of the award for best animated short for "Dear Basketball." Mary. 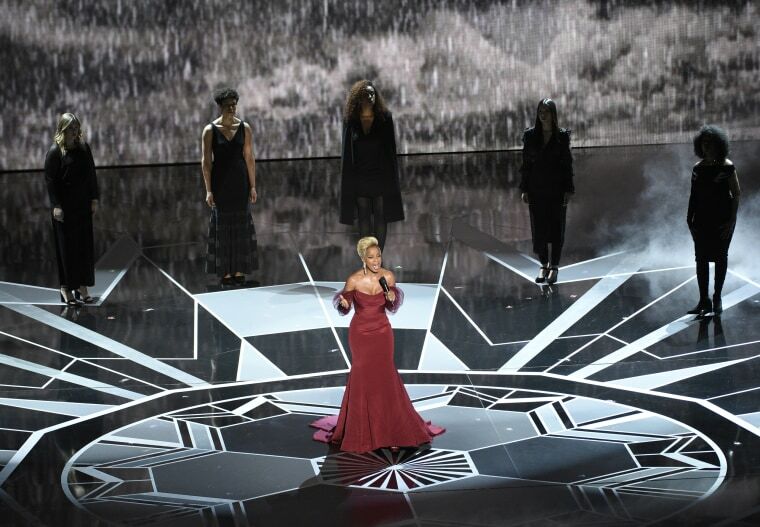 J Blige performs "Mighty River" from "Mudbound" at the Oscars. 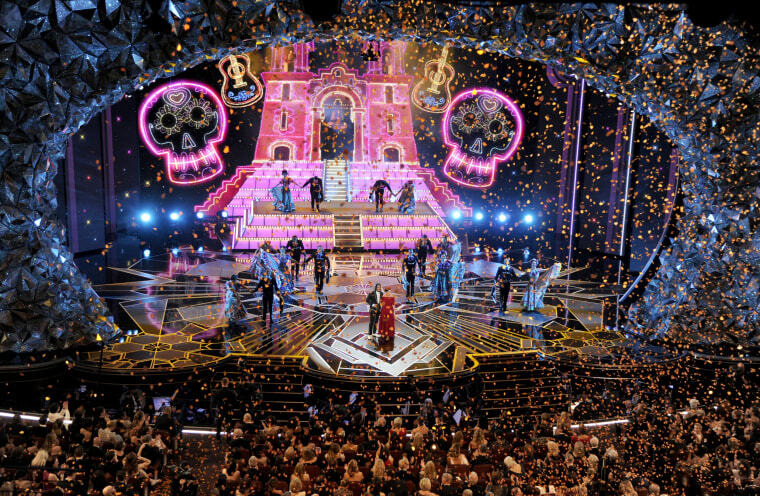 Miguel Lafourcade, left, and Natalia Lafourcade perform "Remember Me" from "Coco." 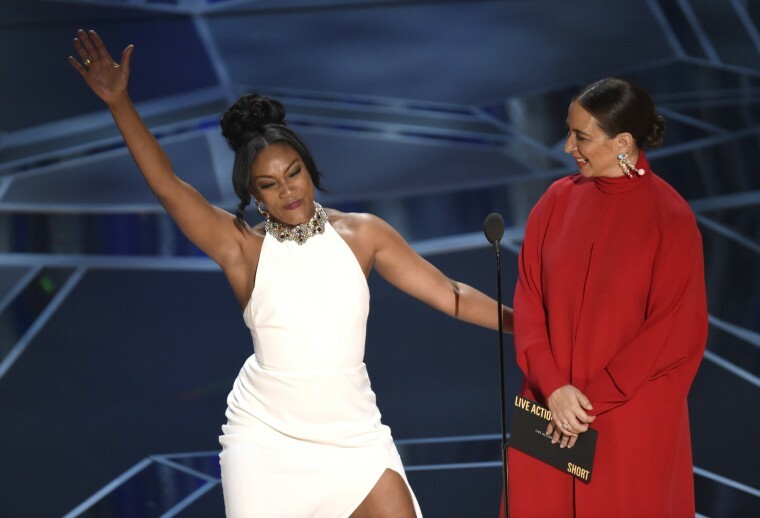 Tiffany Haddish, left, and Maya Rudolph present the award for best documentary short subject. 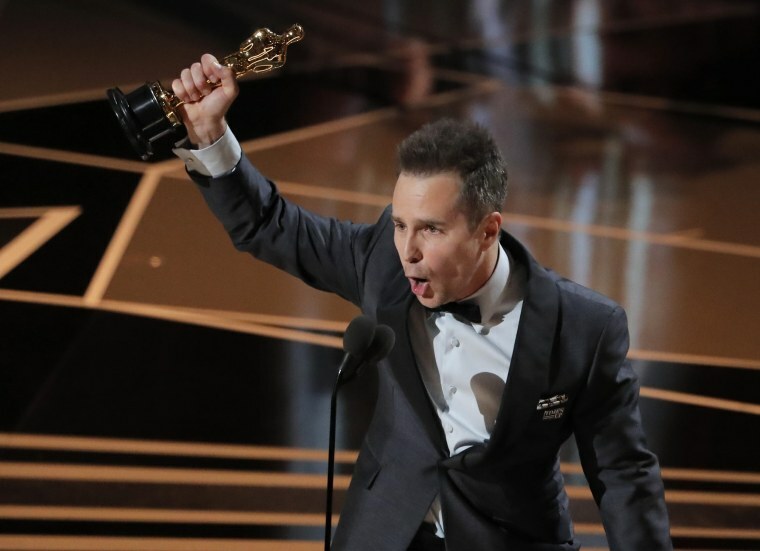 Sam Rockwell wins Best Supporting Actor Oscar for "Three Billboards Outside Ebbing, Missouri." 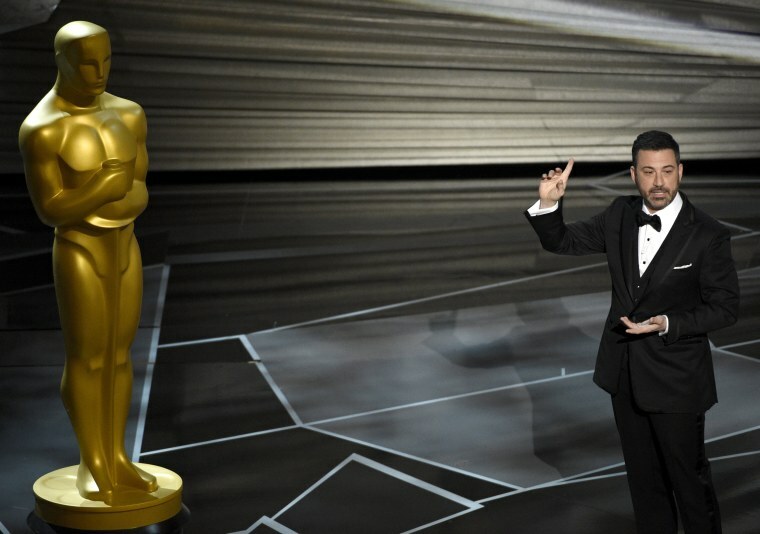 Host Jimmy Kimmel speaks at the Oscars. 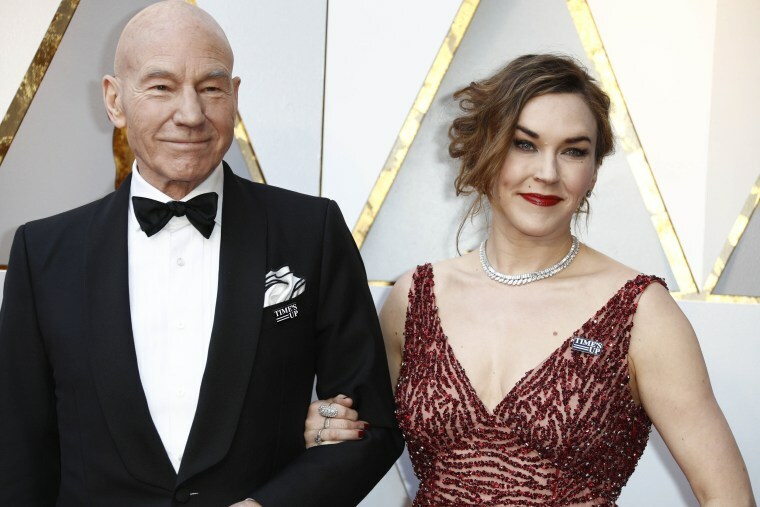 Patrick Stewart and Sunny Ozell attend the Academy Awards ceremony wearing "Time's Up" pins. Allison Williams appears in “Get Out,” which is nominated for best picture. 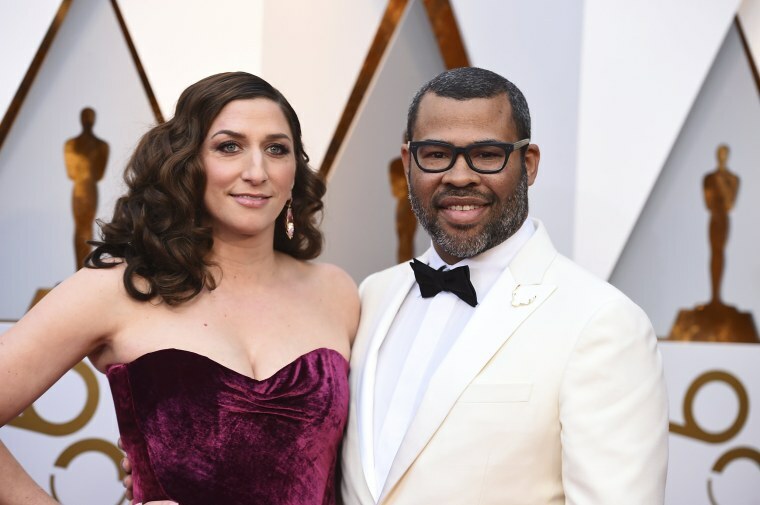 Chelsea Peretti, left, and director Jordan Peele. Peele's film "Get Out" is nominated for best picture, best director and best original screenplay. 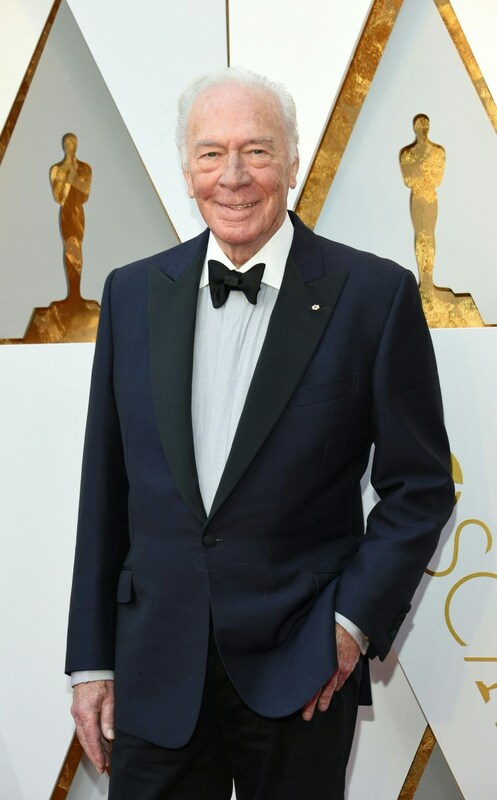 Christopher Plummer is nominated for best supporting actor for his role in "All The Money In The World." 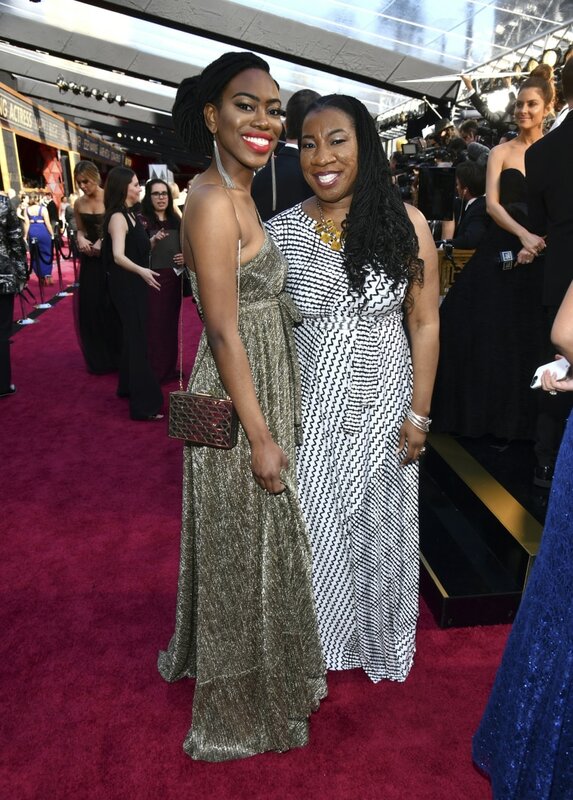 Kaia Burke, left, and #MeToo founder Tarana Burke. 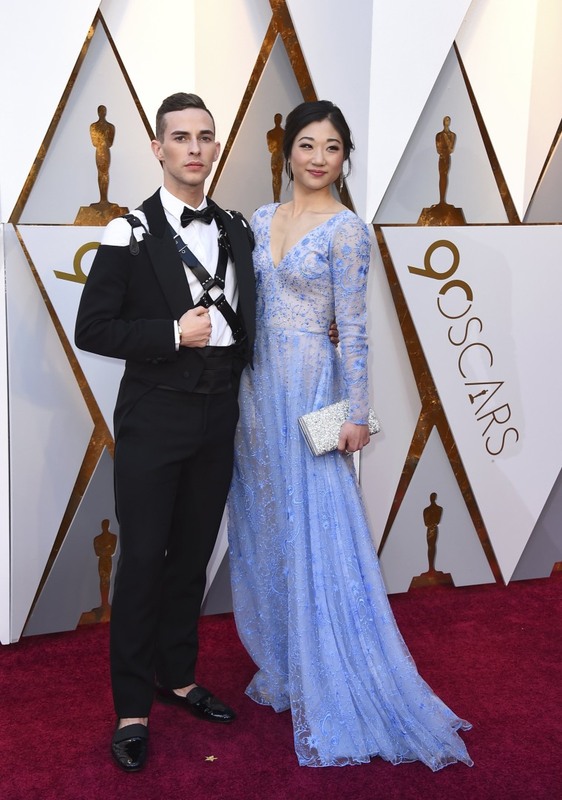 Olympic ice skaters Adam Rippon, left, and Mirai Nagasu. Ashley Judd, left, and Mira Sorvino. 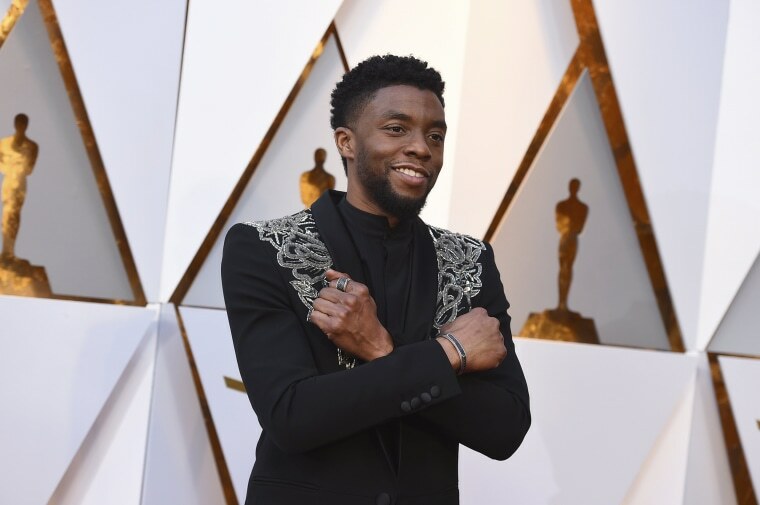 "Black Panther" actor Chadwick Boseman. 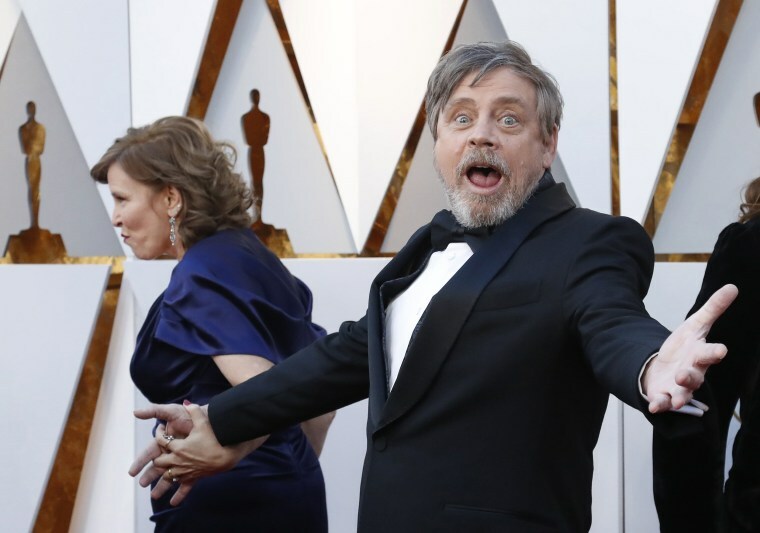 Mark Hamill and Marilou York. "Empire" actress Taraji P. Henson. 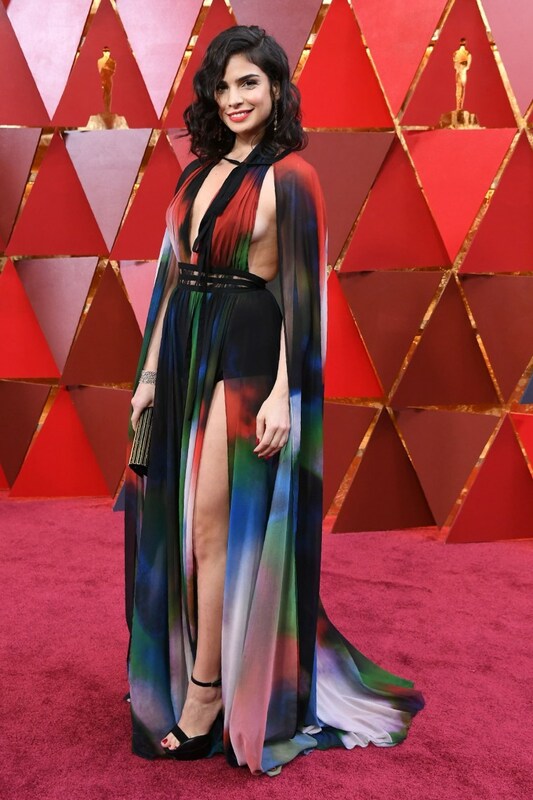 "Wonder Woman" actress Gal Gadot. 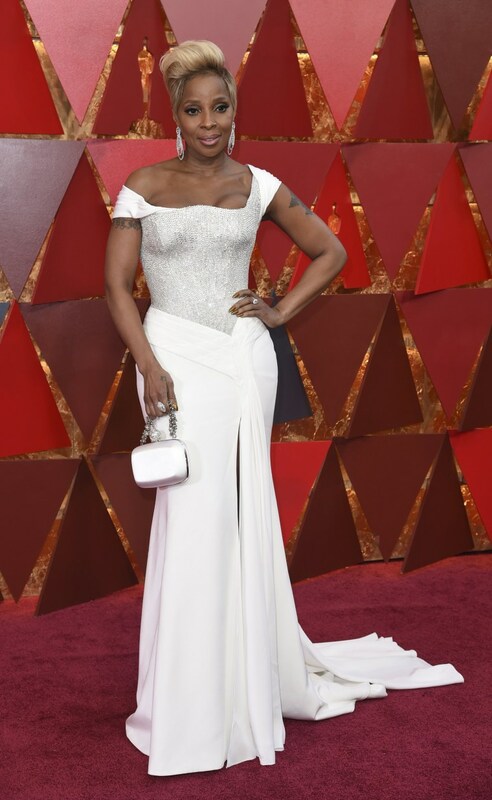 Mary J. Blige is being nominated for supporting actress and original score for her work in "Mudbound." 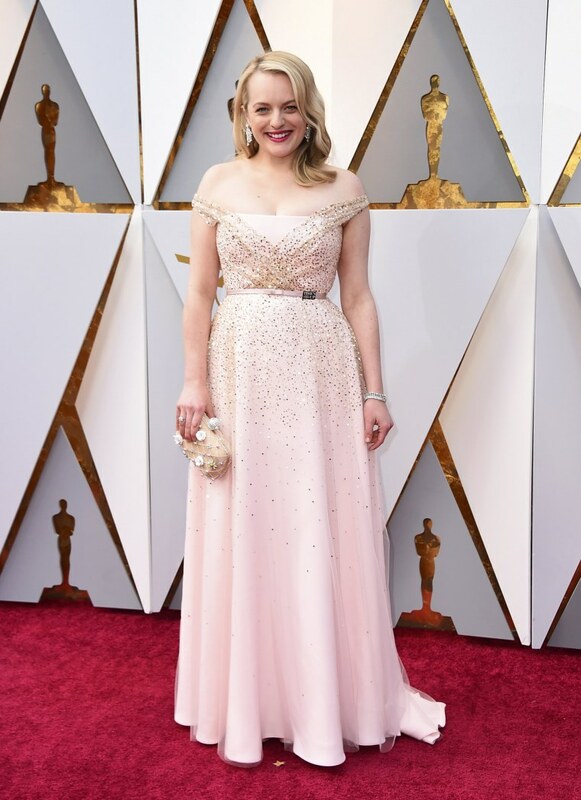 Emma Stone won the Oscar for best actress for her role in "La La Land" in 2017. 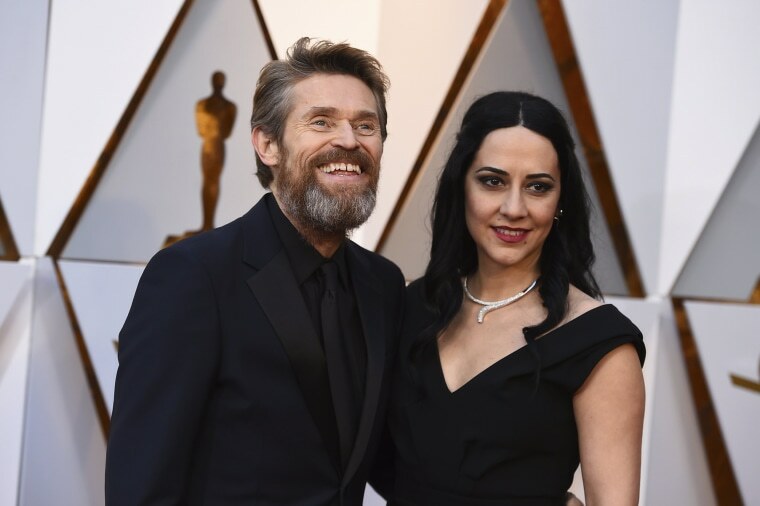 Willem Dafoe and Giada Colagrande. "I, Tonya" actress Margot Robbie.